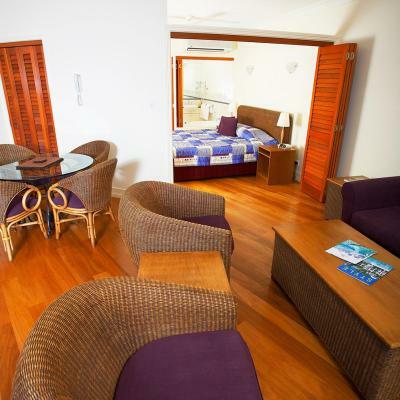 Lock in a great price for Mantra on the Inlet – rated 8 by recent guests! How good was the location! 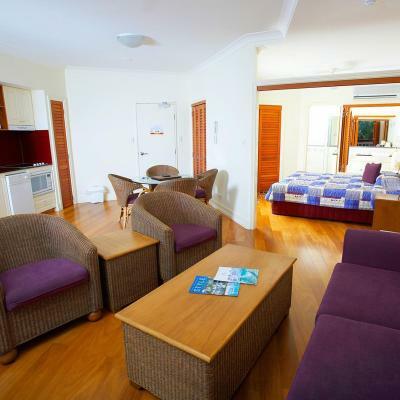 Really felt part of the mood of Port Douglas. Value for money was fab. 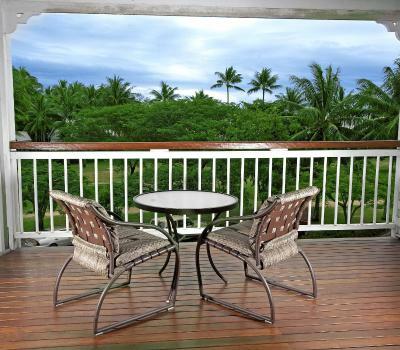 Have stayed previously in Port Douglas away from Macrossan Street, never again! Was so good to be able to walk downstairs with all the eateries and shopping at your doorstep. It was in a good location but so were lots of other places. 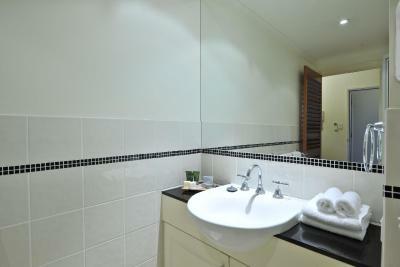 Price was reasonable for a unit with kitchenette and spa bath. The spa bath in the room was amazing and the view from the massive balcony! The location of this hotel is the best. Right near all the best restaurants and bars. Will be back. On site car parking, and location to Main Street area. Great, central location. We were staying at a quiet time so we were able to enjoy the pool and facilities all to ourselves! 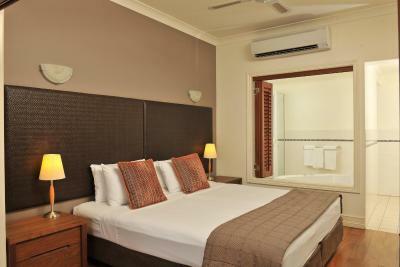 Have stayed here before and always great value for money. 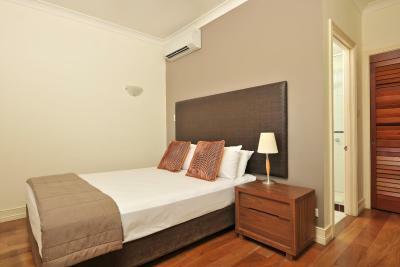 Would recommend staying here if you are after something nice and close to the Main Street. Parking was free and easy as well which was an added bonus. Perfect location... 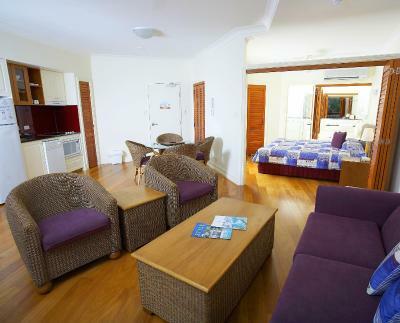 The room exceeded my expectations Comfy bed, nice cold aircon, felt like home with all amenities and best of all very close to everything! Huge room (we had a 1 bedroom suite) excellent location very central and within walking distance of everything, we were only there a short time so did not want to be in a resort out of town. Great value for money. Beautiful room, great location. The large glass doors sound proofed the room from any street noise. 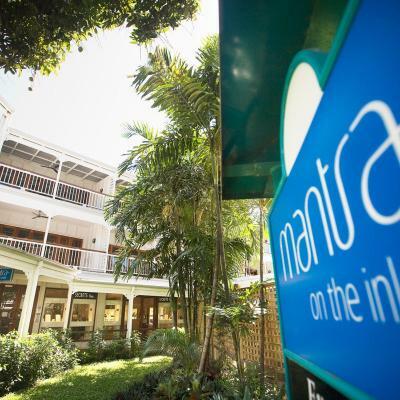 Mantra on the Inlet This rating is a reflection of how the property compares to the industry standard when it comes to price, facilities and services available. It's based on a self-evaluation by the property. Use this rating to help choose your stay! Mantra on the Inlet offers air-conditioned accommodations set among tropical landscaped gardens with an outdoor swimming pool. 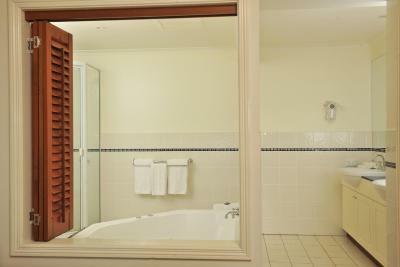 Each suite has a private balcony with whirlpool spa. 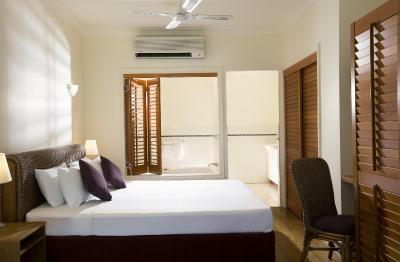 All rooms and suites at Mantra on the Inlet Port Douglas feature colonial-style architecture and modern furnishings. 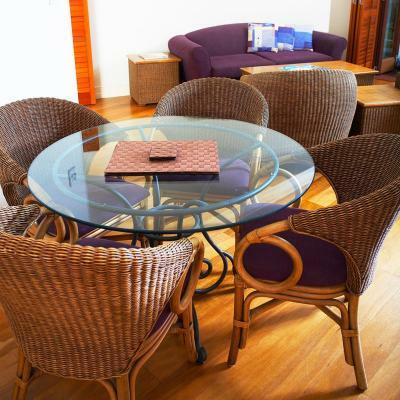 Each includes cable TV, ceiling fans, tea/coffee making facilities and a hairdryer. 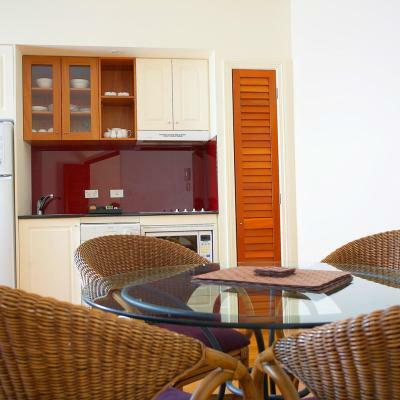 Suites with kitchenette and private laundry facilities are available. 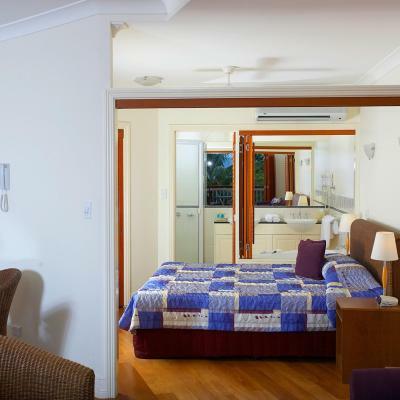 The resort is located opposite Dickson Inlet, offering direct access to boating facilities and day trips to the Great Barrier Reef. 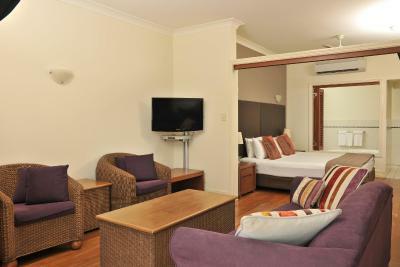 Built in 1878, the Court House Hotel is located downstairs from the resort and features 3 bars and a gaming room. 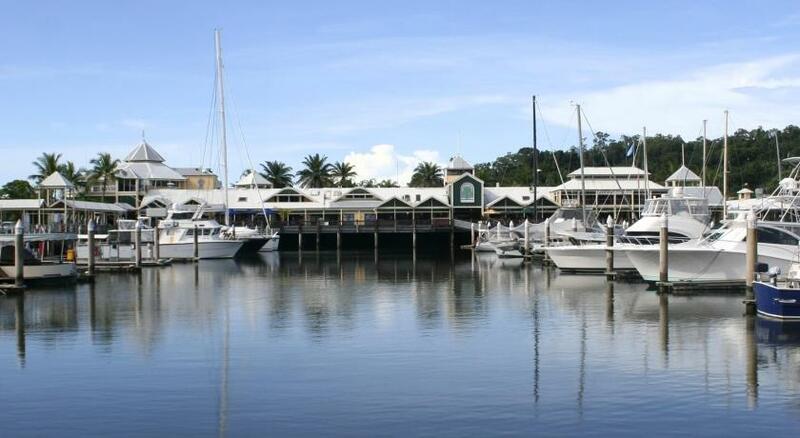 Wharf St Bistro offers à la carte meals and outdoor seating. 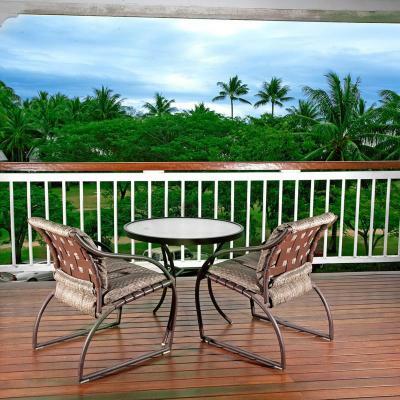 The tour desk can arrange trips to the Daintree Rainforest, Atherton Tablelands and Kuranda Scenic Rail & Sky Rail. 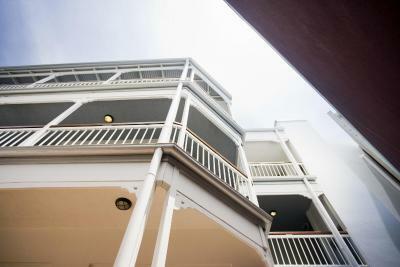 The boutique stores and cafes are of Macrossan Street are only a 5-minute walk away. 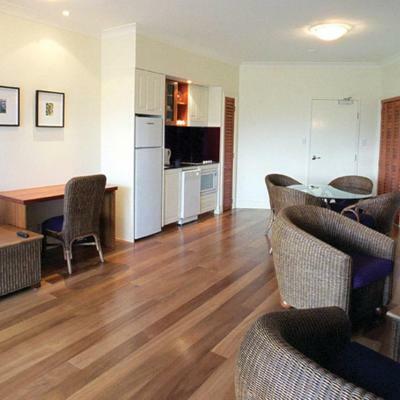 When would you like to stay at Mantra on the Inlet? 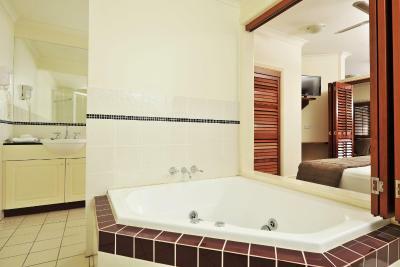 Featuring a balcony, kitchenette, laundry facilities and an indulgent whirlpool spa. 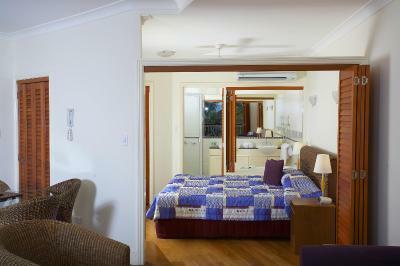 Please note that this apartment is made up of an interconnecting One-Bedroom Suite and a King Room. House Rules Mantra on the Inlet takes special requests – add in the next step! Mantra on the Inlet accepts these cards and reserves the right to temporarily hold an amount prior to arrival. 1. 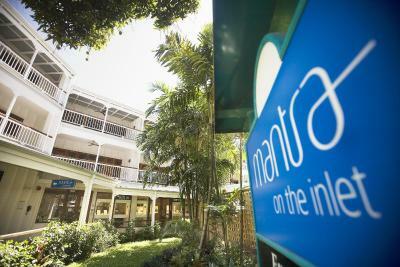 Reception staffed between Mantra hotels - phoned to get service - Easter hols. (not blaming staff) 2. NO people LIFT in a 3 storey building!!!!!!! Below company standards.... 3. Suitcase LIFT (Dumb waiter lift -very old) worked arrival, broken departure - carried LARGE bags to ground 4. 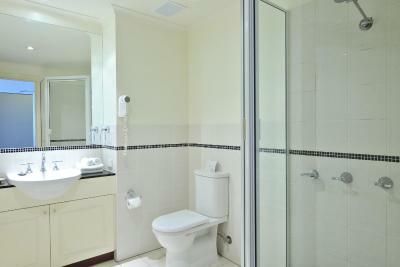 IMPROVE hotel maintenance - we paid high money & expect standards to be maintained. 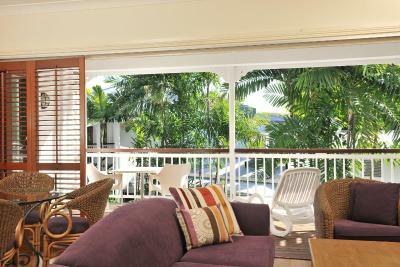 #1 BEST location for Macrossan & Wharf main street corner, restaurants, etc. 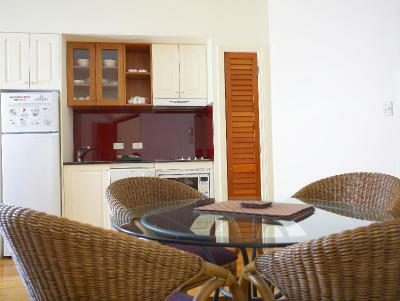 #1 BEST (level 2) room ocean view - letdown with basic hotel room, staff fixed with excellent (best!!) Suite. I know it was unavoidable but having no reception during the our stay as it was being renovated was quite strange. But other than that very impressed. Self checkin was not working. Other contact numbers were not answering. An hour and a half later we eventually were able to checkin, after we made many phone calls to Mantra and their properties in the area. Not good enough! Mantra, give a person a job and employ a customer service person to show your customers you care! Don't have the customers do your job for you. After all we are the guests! That the luggage shoot wasnt working and having to carry suit cases up the stairs. Some of the furniture a little old. 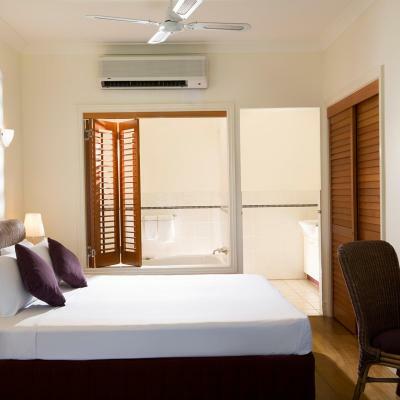 Room size and veranda. 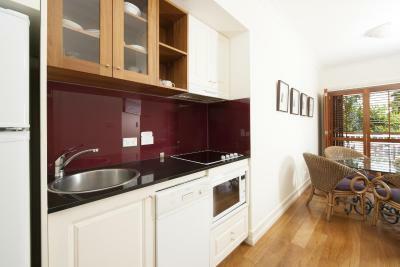 Kitchen facilities. We were not given any pool towels ( as the paperwork said we were entitled) and there was no staff to get any.